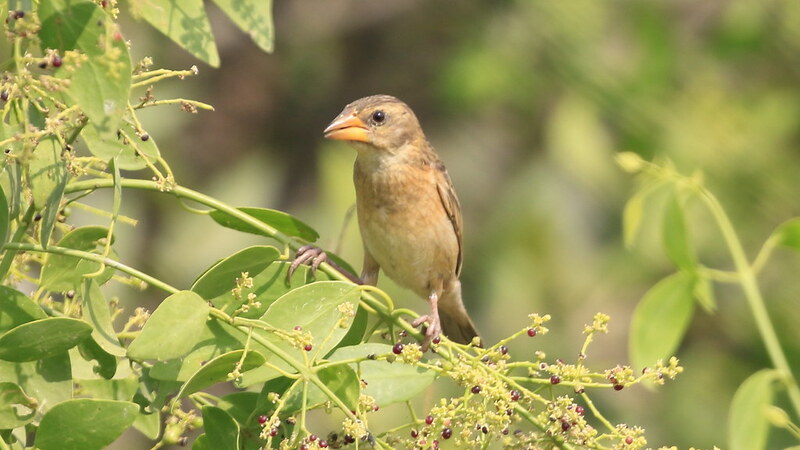 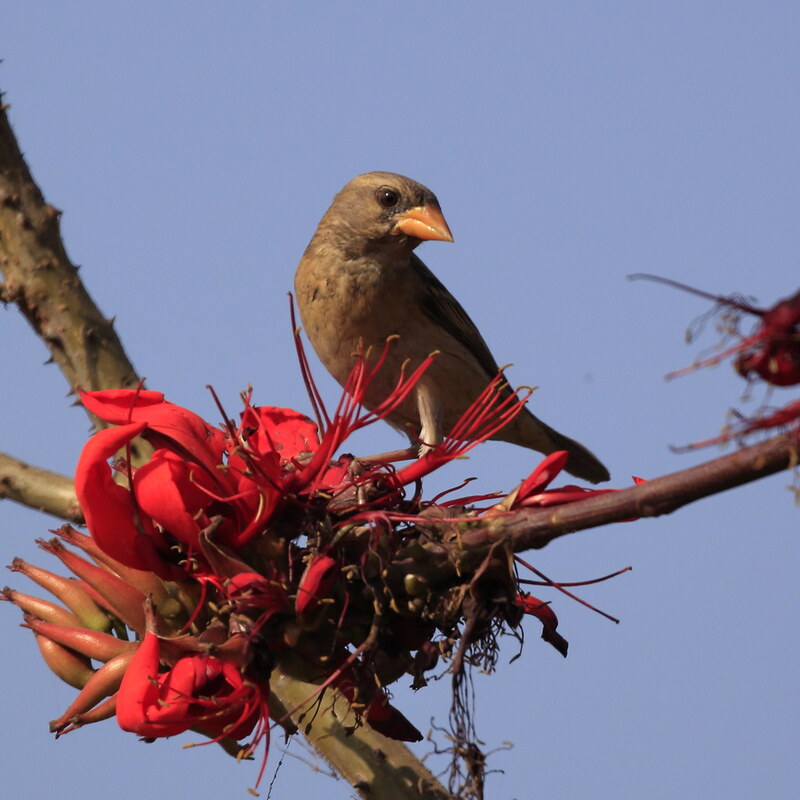 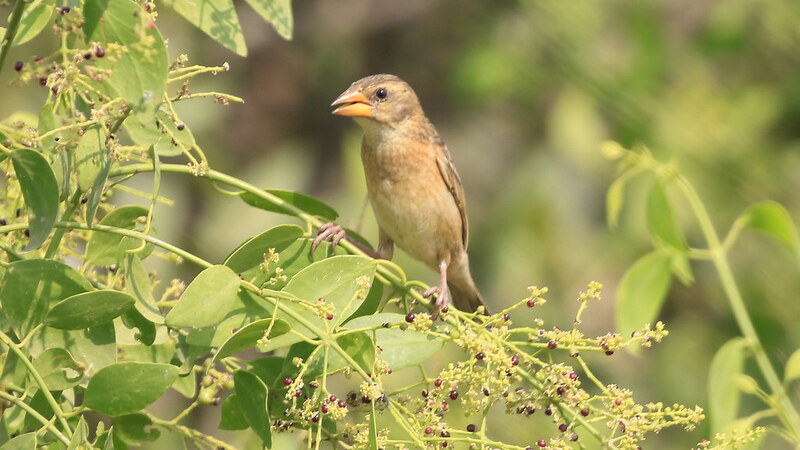 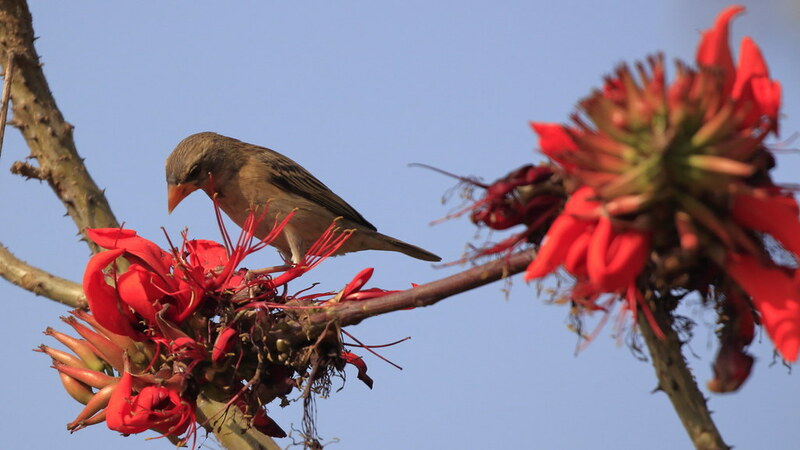 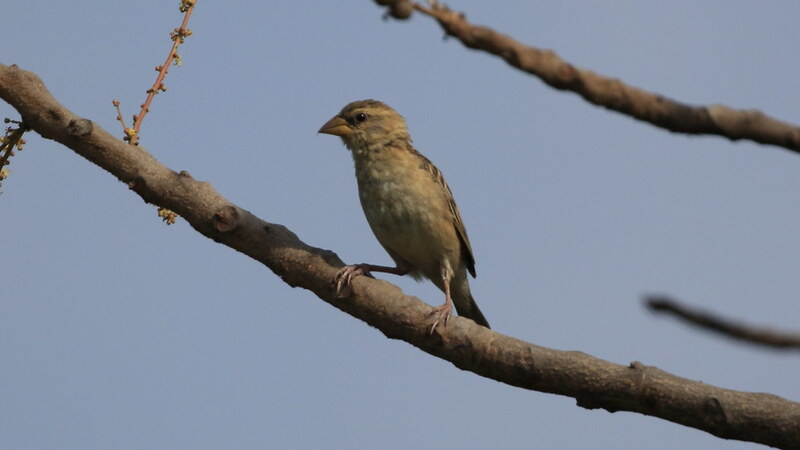 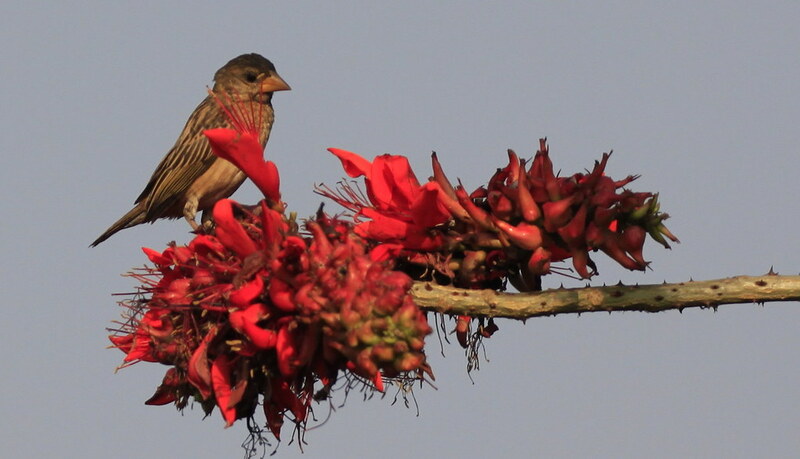 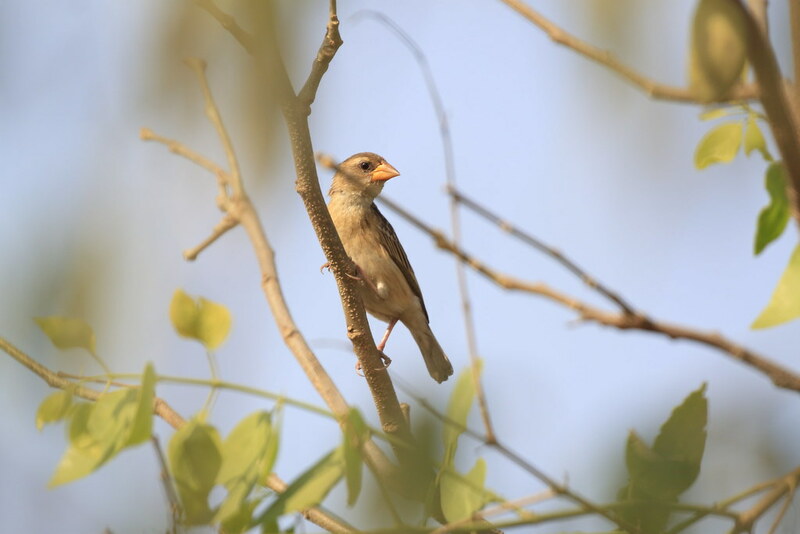 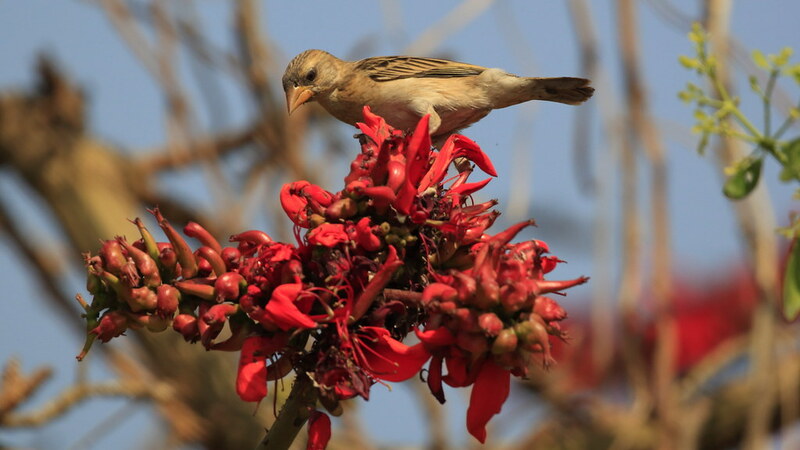 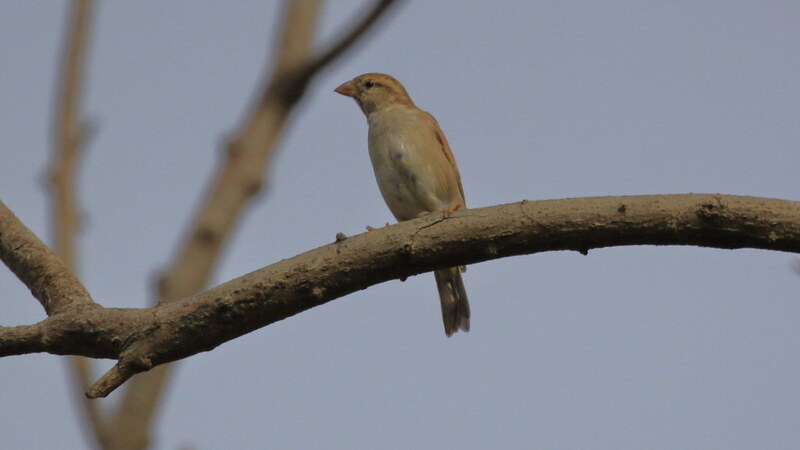 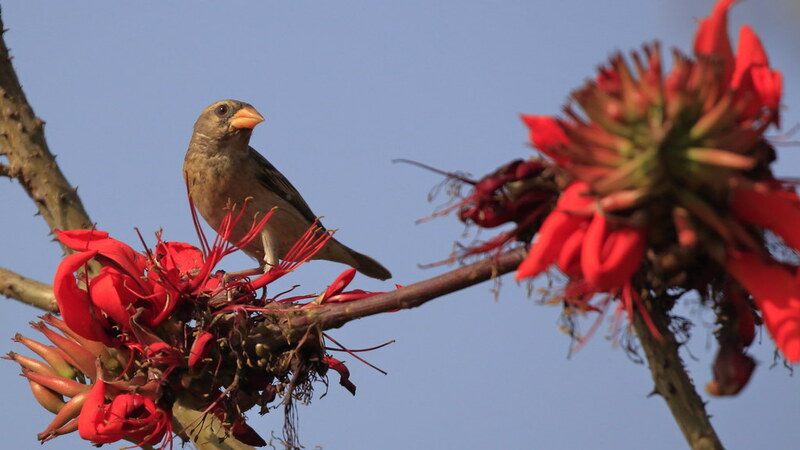 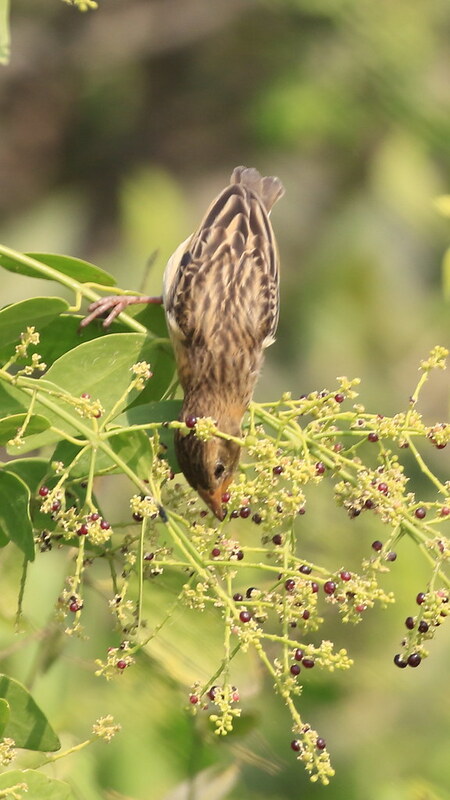 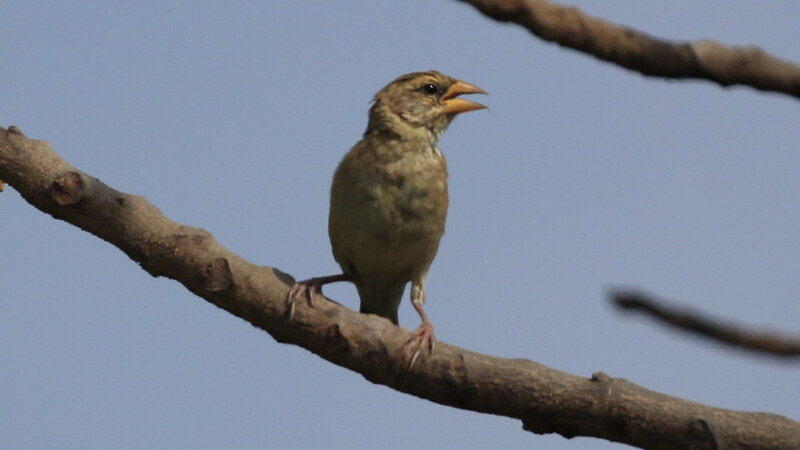 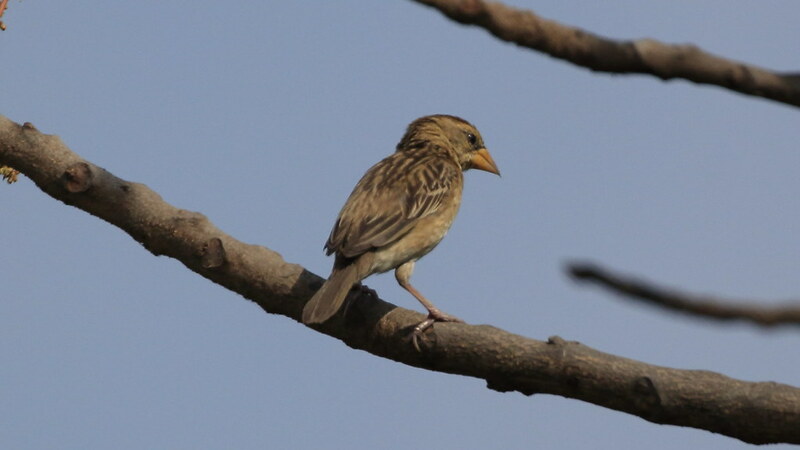 Identification: These are sparrow-sized (15 cm) and in their non-breeding plumage, both males and females resemble female house sparrows. 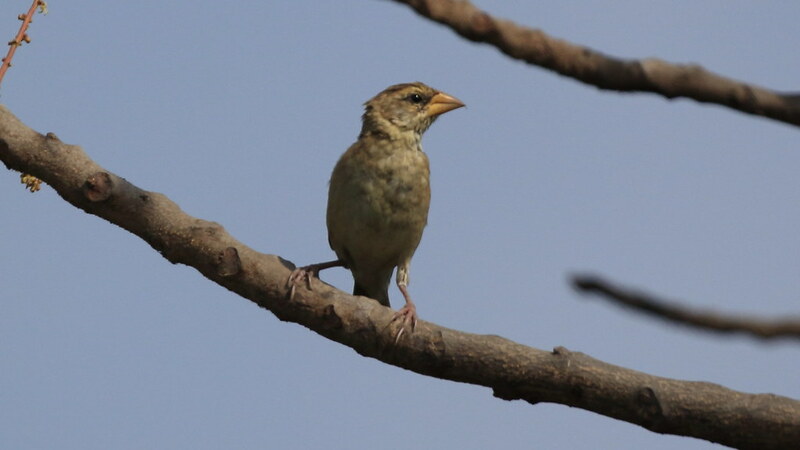 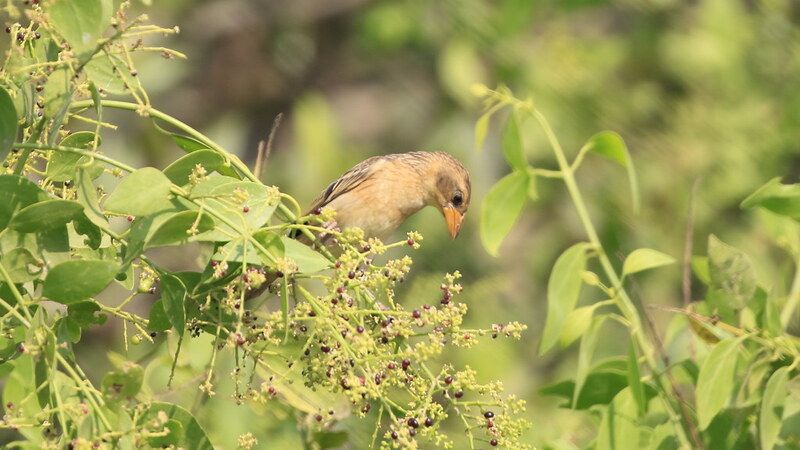 They have a stout conical bill and a short square tail. 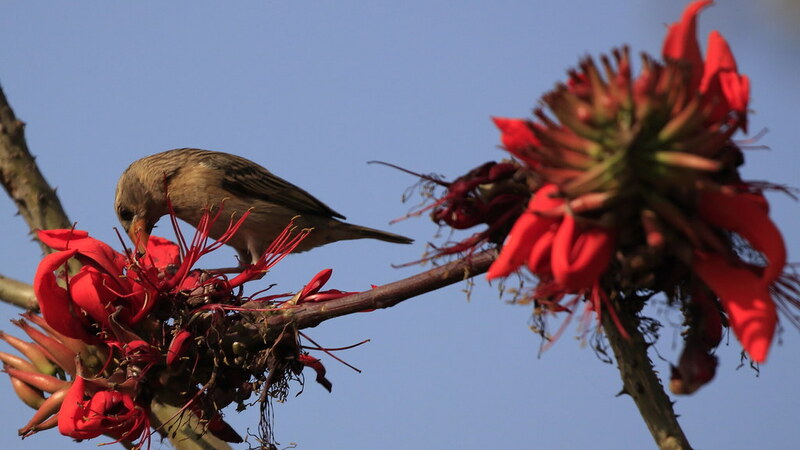 Non-breeding males and females look alike, dark brown streaked fulvous buff above, plain (unstreaked) whitish fulvous below, eyebrow long and buff coloured, bill is horn coloured and no mask. 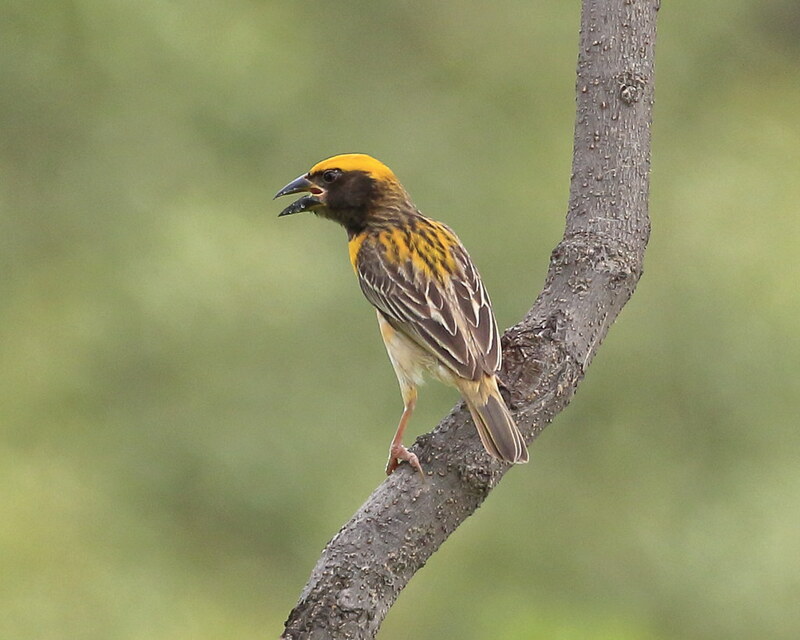 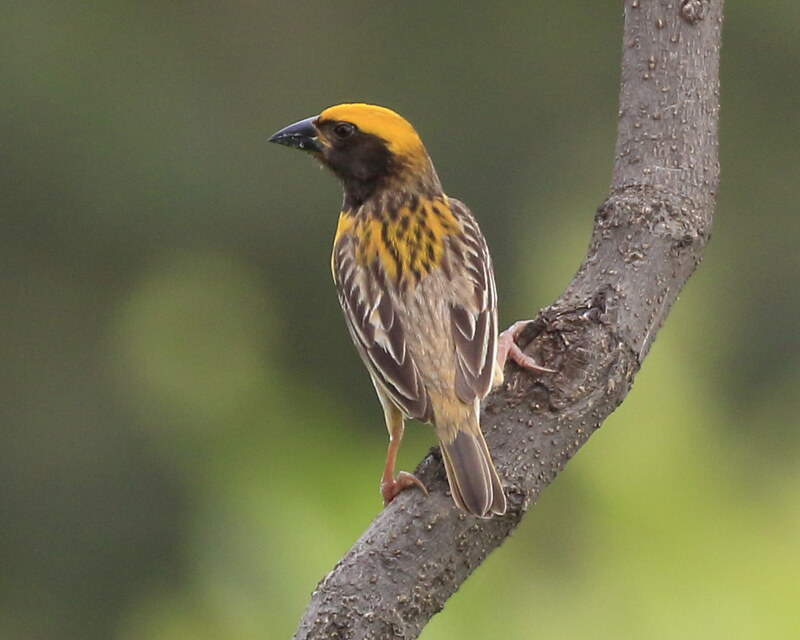 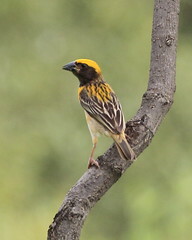 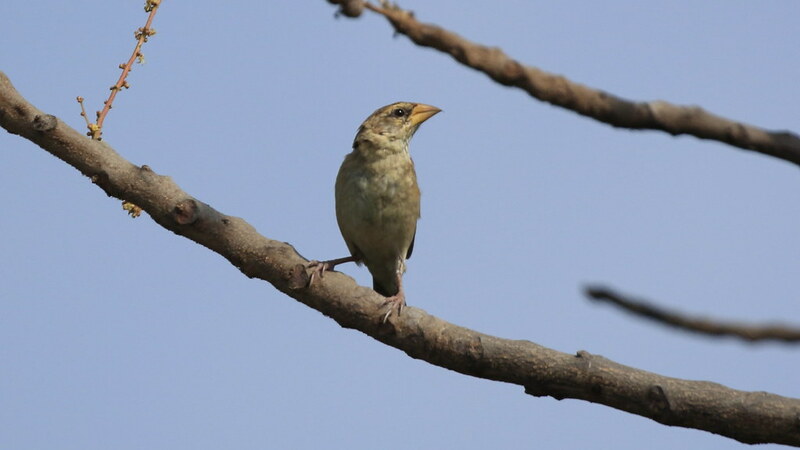 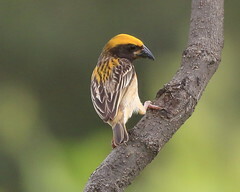 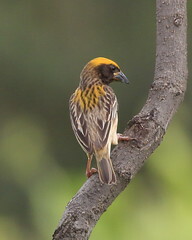 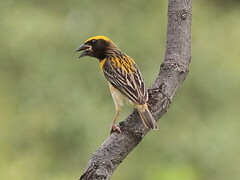 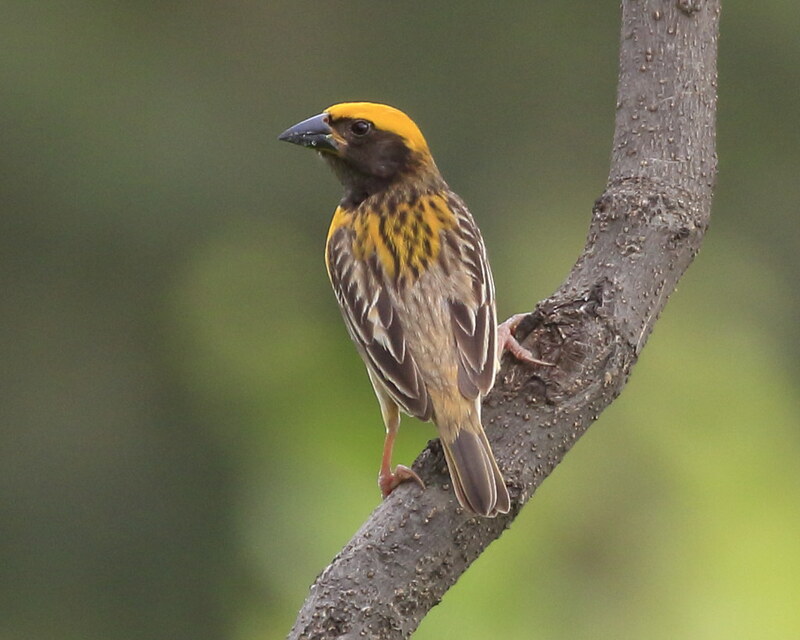 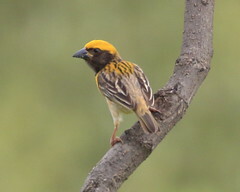 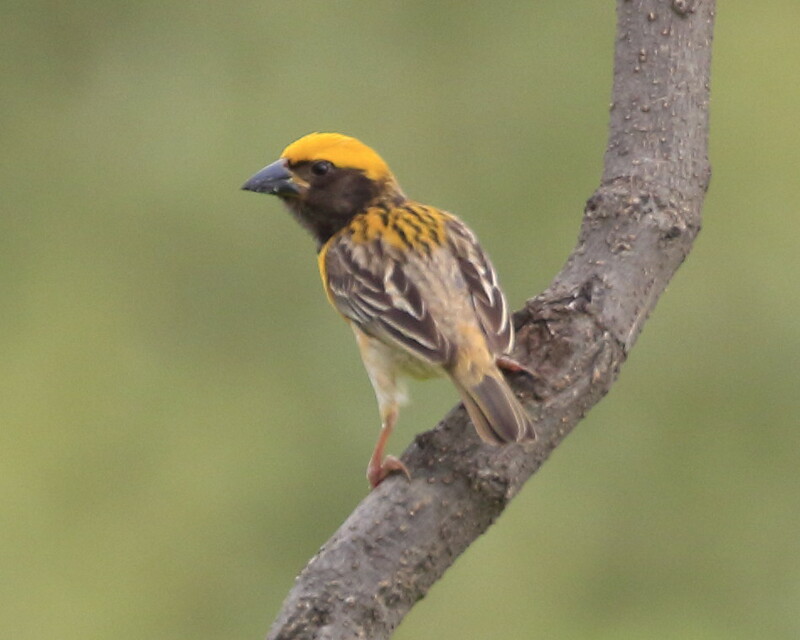 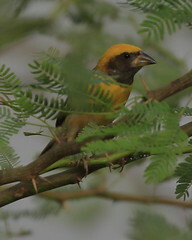 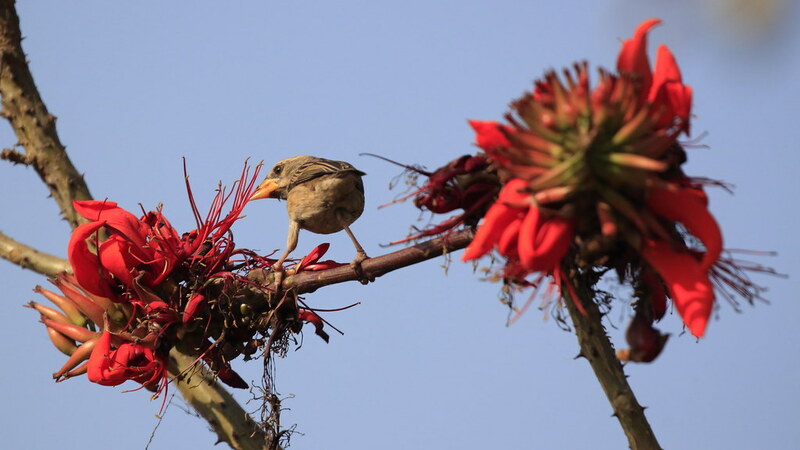 Breeding males have a bright yellow crown, dark brown mask, blackish brown bill, upper parts are dark brown streaked with yellow, with a yellow breast and cream buff below.